/ Offer insurance to your customers on PrestaShop in 5 minutes! In this thread we will see how to offer insurance to customers of your PrestaShop store in 5 minutes! Increase the average cart of your customers. Encourages your visitors to complete their purchases. A reassured customer is a satisfied customer! Here, we will add a delivery insurance or carrier insurance to our PrestaShop store. 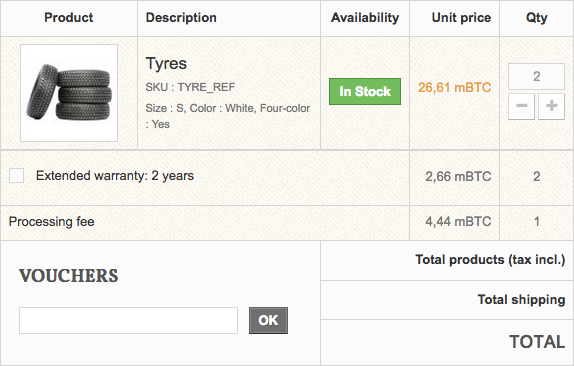 First, install the module Options, Fees and Discounts, Shipping Cost on your store. After installation, the module is available from the menu Catalog > Options, Fees and Discounts. Click on Add an Option button, at the top right. Give a name to your PrestaShop insurance, for example: Delivery Insurance. Choose whether this option should be pre-selected. In the Conditions tab, you can set the conditions to display insurance. In the Actions tab, you set the amount of insurance, which can be fixed or a percentage of the order. In the Display tab, select the pages on which the option will be displayed. Fast, Simple and Efficient. Delivery insurance is now available to your customers.